Does your baby get fussy if their bottle isn’t warmed? You’ve probably found yourself in this predicament: stumbling late at night trying to effectively heat a bottle. Thankfully, bottle warmers have come to our rescue. These not only speed up the process but help eliminate hot spots as well. Bottle warmers are actually pretty simple contraptions, the only real difficulty is choosing which one to buy. With the guide below, along with our top picks (all of which are popular and come highly recommended by moms), you’ll have all you need to choose the best bottle warmer for you and your baby’s needs. 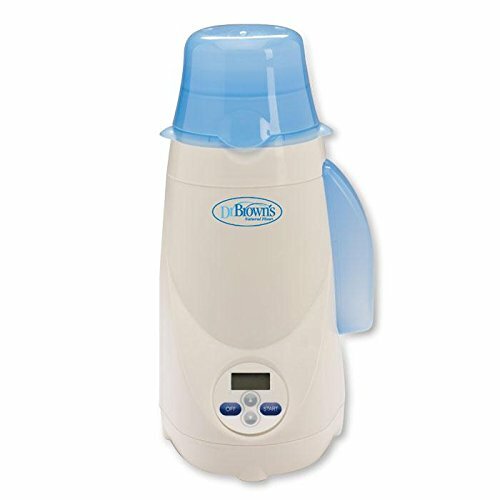 Easy to use and durable, Dr Browns Bottle Warmer may not be the fastest nor flashiest, but it is versatile, reliable, and gets the job done. The question that haunts every parent’s mind is: do I really need this “fancy” baby gadget? Your home may be flooded with different products, or perhaps you’ve held out in buying anything beyond the necessities. So, what about bottle warmers? Do you need them? Of course, there are other ways beyond a bottle warmer to heat their milk such as using a microwave or stovetop. However, these methods can either take up some time or cause some heat inconsistencies. Bottle warmers can quicken the heating process, which is insanely useful for late-night feedings. They can also reduce the risk of your baby’s milk not being heated evenly. At the end of the day, bottle warmers can add that layer of convenience so many parents seek. So, if you’re looking for a little relief, then this is one “fancy” baby gadget that can benefit you in the long run. The way a bottle warmer functions depends on the type of warmer. Some have a few bells and whistles (e.g. bottle coolers, sterilizers), but in general, the warming function operates in one of two ways. The first way it can work is via a warm bath, while the other deals with steam. For the ones that run with warm water, the water circulates around the bottle in order to heat it up. Though it can take a bit of time, this does ensure that the milk is heated evenly while also lowering the chances of it overheating. When it comes to a steam bottle warmer, the steam does most of the work. A chamber of water is heated, and steam rises from the heating element. Through this process, the bottle is warmed up. It can happen faster when compared to some water-based warmers. On the other hand, this type can run the risk of heating the bottle too fast. With all that being said, you’re probably wondering if there’s any difference with using a bottle warmer for formula milk and breast milk. To be honest, though there may be some warmers that specify being a “breast milk warmer”, there’s really no difference. 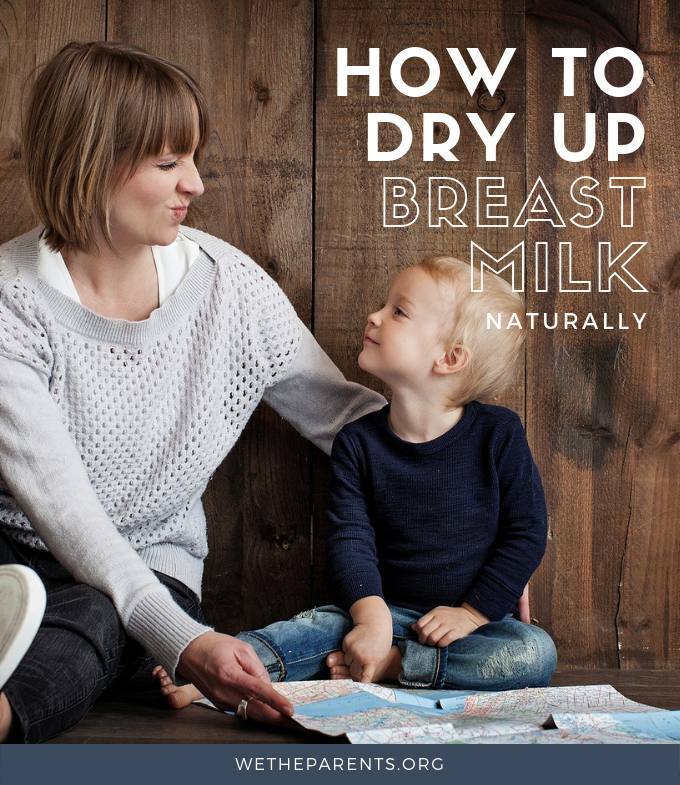 You can heat up breast milk in the same warmer you do formula. Are Bottle Warmers a Fire Risk? Like any home appliance that employs electrical heating, bottle warmers can unfortunately become a fire risk if they overheat. Typically this will only happen if the unit is faulty or get broken. It’s important to not only unplug your appliance when it is not in use, but to keep a watch out for overheating signs such as too hot to the touch, smoke, etc. Also, it helps to check from time to time whether any of your household appliances (bottle warmer included) have been recalled. Go to www.recalls.gov. Ease of Use & Cleaning: Clearly, you’ll be using your bottle warmer frequently, which means it should go through standard cleanings. Because of this, a warmer should be user-friendly so that you aren’t pulling your hair out trying to get it to work at 3AM. Safety Measures: When it comes to preventing overheating, an auto shut-off feature is perhaps one of the best things a bottle warmer can have. It’s easy to get distracted after you start warming up a bottle; trust me, we’ve all been there. Having a warmer automatically shut off once the milk is heated or when the water has evaporated can save you a lot of stress in the future. Alarm: This feature is another thing that greatly accommodates the bottle warming process. Like stated before, getting distracted is an incredibly easy task. An alarm chiming off to alert you that the bottle is ready can be useful if you had to step out of the room. Chamber Size: There are many bottle warmers that are universal, able to work with just about any bottle whether it’s glass or plastic. However, there are some that have a particular chamber size that can only fit a certain brand. Before you settle on any warmer, check to see whether or not it’s universal. With so many bottle warmers on the market, it can be time-consuming to sort through the sea of products – we should know, we spent over 20 hours doing just that. Here’s the best we found based on functionality, safety, price, and customer reviews. If you are hoping to find a product that will follow your baby into eating jarred food, then the Dr. Browns Bottle Warmer is a good choice. It is capable of heating both jarred baby food in addition to bottles. Though the product says it’s designed for Dr Brown bottles, in reality, nearly any standard bottle or jar will fit (besides super-fat ones). Overall, it is quick and easy to use, usually taking about three minutes or so to warm up. Made with a medium to large-sized water chamber, it means you can warm up several bottles before having to refill it. Just think: you can maybe make it through a whole night of feedings without having to worry about there not being enough water. To top it off, it is super user-friendly. It features an easy-to-read LCD panel. Also, there’s a light-up and audio alarm system in-place; feel free to wander off a bit as this will let you know when it’s done. Looking for something you can take to grandma’s or a friend’s house? Then try your hand at the BEABA Quick Baby Bottle Warmer. Beautifully compact, it makes for a great travel bottle warmers. If there’s an electrical outlet, then you’re good to go. And when using it at home, it won’t clutter up your counters; trust me, I know, baby gadgets will literally take over your home if you don’t fight it! With the Tommee Tippee Travel Bottle Warmer, is our top pick for parents who frequently travel by car and need to warm up milk in a sensible, trouble-free way while on the go. You have to fill the insulated container with boiling water, then pour this into the “reservoir” lid when ready, and now simply place the bottle or jar of food inside. This bottle warmer works like a thermos to keep the water inside hot for several hours. This allows you to easily warm a few bottles/jars before needing to top up the boiling water. The container is rather large too, so it can work with a variety of brands. Versatile in that it warms up bottles, food jars, pouches, etc. If, like me, you want to reduce the amount of baby-gadget clutter in your home, then it makes sense for each product to work hard for its place by serving multiple functions. The 4-in-1 Bottle Warmer from Babebay can warm bottles, make formula, heat up food, and sterilize everything from bottles to pacifiers. It has a double-bottle design and a reversible lid so that you can fit bottles of various heights. In addition, there’s the LED display that showcases real-time temperature so that you’re always aware of how warm it is. For those looking out for safety measures, there are two main features that stand out. One is that the warmer is made with a skid-proof base to help keep it in place. Secondly, there is an auto-off mechanism. It kicks in if the warmer and sterilizer run out of water, or once the temperature has reached 100ºC or 212ºF. It’s rather easy to find a bottle warmer for any standard plastic bottle, but it takes some research to determine if one is safe for glass bottles as well. The Kiinde Kozii may help bring you some peace of mind as it works by gently, yet quickly, warming up the milk. It is universal enough that it’s not just safe with plastic and glass, but it can handle metal and those breast milk storage bags too. To help keep things from overheating, this warmer utilizes a built-in timer. Along with that, there’s the auto-off feature. If you are looking out for even more user-friendly factors, Kozii has designed this warmer with an onboard reservoir. With this, you do not have to add water with each individual use. Furthermore, with the reservoir, the water sinks back into it once the timer stops and the auto shut-off function kicks in. By having this reservoir though, it does require a good deal of thorough cleaning, but the process is not difficult to manage. If you are night-feeding and desperate to get back to bed, one or two minutes can feel like an age. Bring on the Munchkin High Speed Bottle Warmer which can warm up your baby’s milk bottle in about 90 seconds. And it’s not just fast, it’s also rather budget-friendly too, and provides a decent set of features, like an auto shut-off and an alarm to alert you when it is ready. There is an adapter ring provided so that you can fit bottles and jars of food of various sizes. You also get a measuring cup to help you pour the right amount of water. There’s little point of purchasing a bottle warmer if it doesn’t last long, right? To prolong the life of your appliance, proper cleaning and de-scaling is a must. Before you do anything, always read the instructions for your specific warmer. Unplug the warmer and wait for it to cool completely down before you do anything. Depending on the model, you may have to empty whatever water is left in the tank. Don’t submerge the unit in water. Instead, a damp dishcloth can typically get the job done. Just wipe down both the inside and outside of the unit. If needed, you can use a small bit of a mild dish detergent. Remember to rinse well. Allow all the parts to air dry before putting the unit back together. Some units have more parts that you need to remove when you clean, so again, that’s why it’s important to read the manufacturer’s instructions. Before you begin, empty out any remaining water. Mix up two parts white vinegar and four parts cold water and pour into the reservoir. Run the warmer through one cycle. Once finished, rinse it and completely dry it out. Our favorite bottle warmer is the Dr. Browns Bottle Warmer. Let’s face it, warming a bottle is a pretty simple task. You don’t need anything fancy for the job. Dr Browns Bottle Warmer is easy to use and durable. It may not be the fastest on the market, but it certainly ain’t the slowest either. The bottom line is that you won’t go far wrong with this versatile and reliable bottle warmer. My name is Tony Souris. I just read your review on baby bottle warmers and wanted to pick your brain on what I feel is a gap. I can’t seem to find a baby bottle warmer that meets the need of active parents like myself. The Tipee requires me to plan ahead which can be difficult and the Beaba requires I have an outlet which isn’t always available (e.g. airplane, boat, car). I have found a few products that you didn’t review (Jiffi) that somewhat meet this need, but they take too long to heat the water (25+ mins). What are your thoughts on this? Did I miss something on the market? Am I the only parent that would like to have the ability to quickly heat baby food on the move without needing to plan ahead or look for an outlet? Thanks for your feedback. I’m really curious what your thoughts are on this! Yeah, we hear you! Actually, since writing this article there are some new kids on the block in terms of travel bottle warmers. Check out the “Lekebaby Insulated Baby Bottle” which is both insulated and can run off a power bank. These should provide options to cover most scenarios.